In the following example I will use the Desktop as a download location. From the "Save As" dialog box, click the Desktop icon on the left side. Click Save, this will save "hosts.zip" to your Desktop. Extract All from the menu. This will open the newly created hosts folder on your Desktop. Note: When you run the (mvps.bat) batch file, XP users may see a prompt, simply click Run and continue. Once updated you should see another prompt that the task was completed. Some users may see a pop-up from certain Security programs about changes to the HOSTS file. Allow the change ... however if you see this pop-up at any other time ... investigate. The key being the "Etc" folder ... 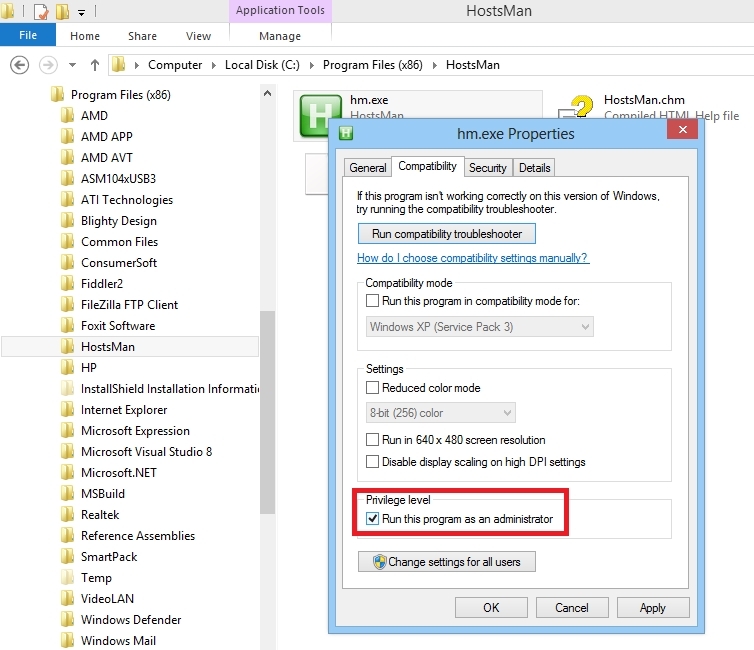 Note: this assumes Windows is installed in the default location. with the image to the right. Windows Explorer will prompt you to replace the existing file. original shipped with Windows. Then repeat the above steps. Editors Note: in some cases you may have a security application "monitoring" the HOSTS file for changes, or that has the HOSTS file "locked" (set to "Read Only") If this occurs allow the changes or you may need to "unlock" the HOSTS file before you can replace it. Editors Note: Once you have completed the above you can delete the hosts.zip and the hosts folder from your Desktop. The MVPS HOSTS file is updated regularly so you can always return here if you are still unsure on "How To" or drop me a note and I'll try and assist. Why do I get a Password Prompt when unzipping the download? This usually occurs when you copy the "hosts.zip" file to the location of the existing HOSTS file and then try to "Extract" the file. 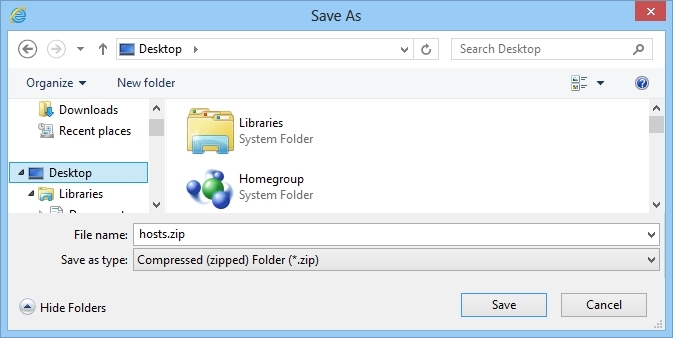 To prevent this prompt, unzip the file in a "temp" folder or use the above "Desktop" example. 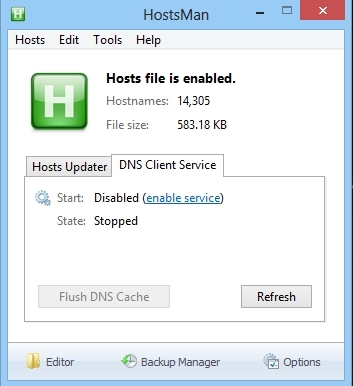 HostsMan is a freeware application that lets you manage, Edit and Enable/Disable your Hosts file. This also has an option to update the existing HOSTS file when needed. Use the Server option to replace the Navigation to the webpage was cancelled message. since several other sites still offer Hostsman.